Well, we’ve been watching Dominion Virginia Power do their site work across Western Loudoun since before the blizzards (which slowed progress for sure). 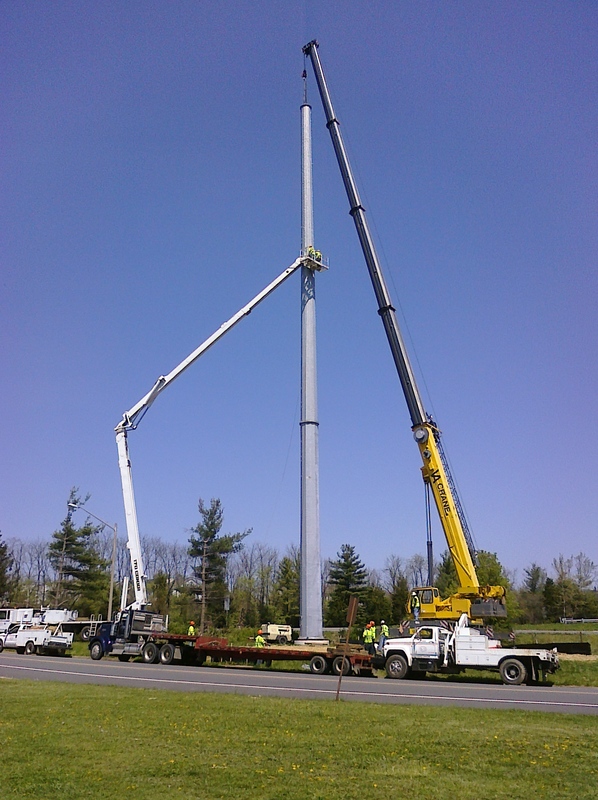 The time has finally come for the towers to go up, to carry the transmission lines from the new substation south of Leesburg to another new substation near Purcellville. The expectation is that the lines will be carrying power by this fall. The path for the lines crisscrosses Route 7 in a couple places, is buried where it runs along the W&OD Trail, then comes above ground where it ends in Purcellville. You can read a full article about the project at the Leesburg Today. The picture above was taken on Clubhouse Drive in Leesburg, just past where the bypass intersects with Route 15.